Partecipare ad un’itinerario in compagnia delle guide autorizzate è senz’altro il modo migliore e completo per scoprire il Parco della Murgia Materana, ed ogni giorno puoi prenotare la tua escursione con il CEA : by TOURIST VISIT a little more’ a ’ now accessible to all without any difficulty to BELVEDERE TRAIL and to the TRAIL CROSSES intermediate duration and layer simple hiking, to the GREAT TREKKING about five hours for fans of walks, per finire al LARGE RING OF STONES ed alla MATERA-MONTESCAGLIOSO full day excursions . 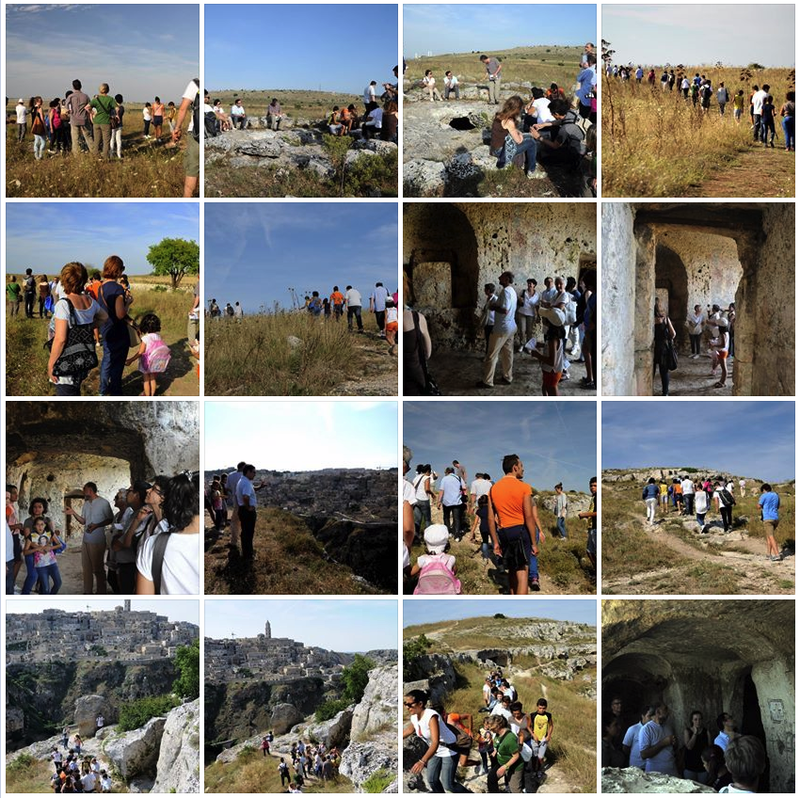 However, you can arrange also other personalized itineraries based on specific needs and interests (Botany, fauna, avifauna, Archaeology, geologia) throughout the ’ area of the Park and Hill Matera. With the shuttle bus of the Cea are possible visits throughout the ’ area of the Park, It has a total extension of about ’ 8000 ha: e così si potranno raggiungere le località piu’ nearby Tempa Rossa and Murgecchia and even the most distant of the female, the Woods and the municipality of Lucignano, l ’ Ofra, the contrada Selva, the village Saraceno, the Valley of the Loe, the Gravina di Picciano and the Gravina of Bradano. The best way to discover the Park then walk, but also lovers of the bicycle, Despite not having yet specific routes equipped, can, paper to hand and follow the directions that we provide directly at the visitor center, follow the dirt tracks that cross the ’ protected area. Write to info@ceamatera.it to book your trip or call 0835/332262!